How do you get ahead in this era of millennials? The answer is data. Now, how do you prepare for it? 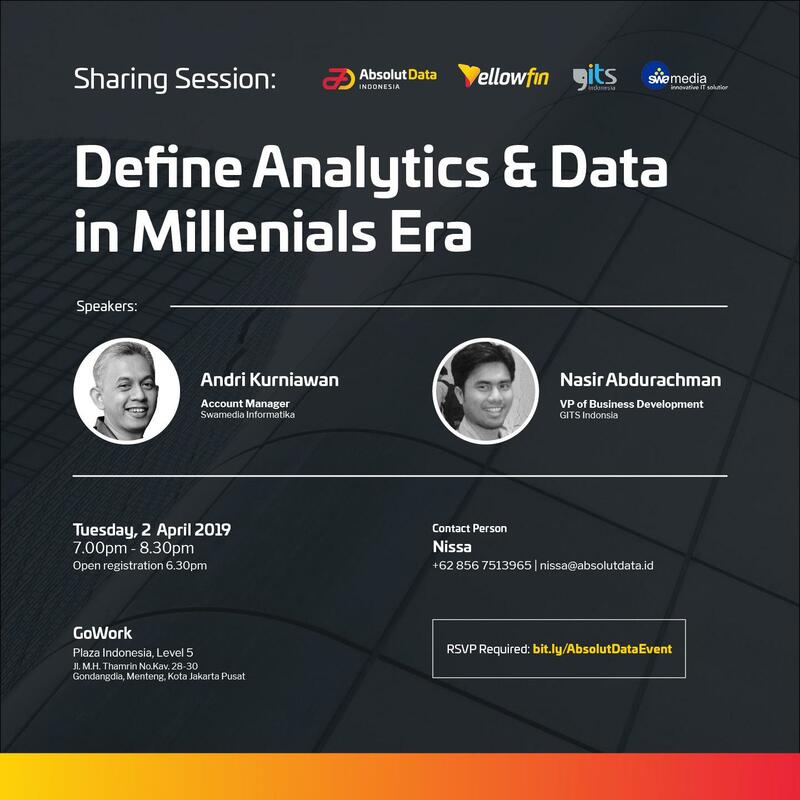 In this sharing session, we will discuss the concern, the trend, and the competitiveness of Indonesia in facing this data-driven era with Andri Kurniawan of Swamedia Informatika and Nasir Abdurachman of GITS Indonesia. He holds a Bachelor Degree in Computer Science from Telkom University, and continue his entrepreneurship journey as one of the founders of PT Swamedia Informatika. Currently, he dedicated himself to build a strong and solid team to create a new growth platform for the company. He entered the startup industry in 2012. Today, at GITS Indonesia, he handling the building strategic partnership, developing new business, working with an existing client and dealing with new accounts. Nasir has previously held several positions in sales and marketing division at other software company.